Innovative Care Advocates is the type of small business and social enterprise every community needs. They provide the elderly and those at end of life, with the resources and services needed to financially prepare for this stage and to have the healthiest transition. 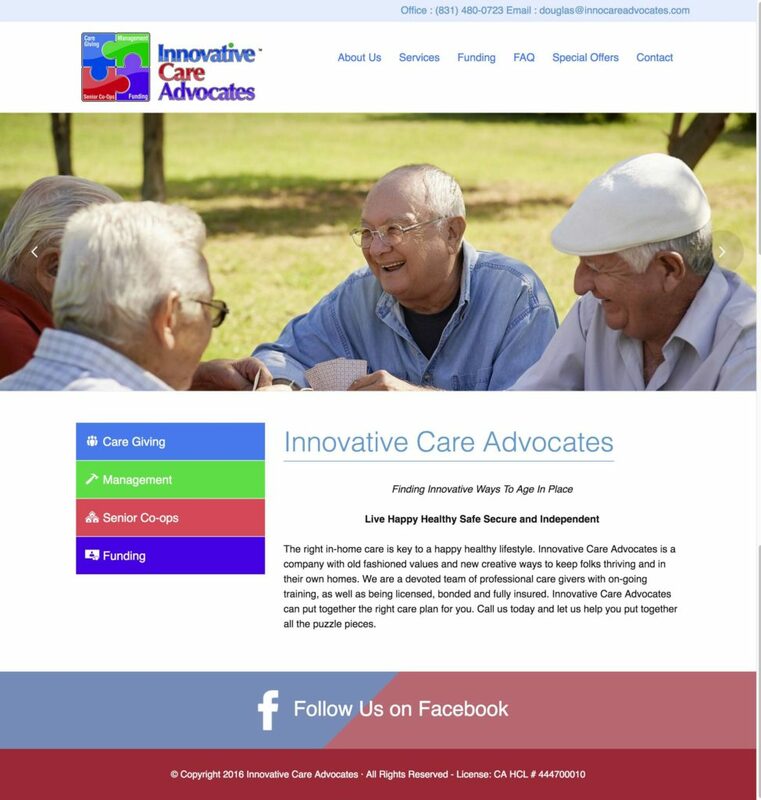 We built their website in WordPress with an extensive and user friendly online form system enabling the elderly and the caregiving community to use Innovative Care Advocates’ site to get the real help they need. Once the site was built, they hit the ground running, and we are now working on marketing, digital strategy and business development to bring this vital service to communities everywhere.